Tonsberg is the oldest town in Norwegian. City which has around 35,000 inhabitants is surrounded by several tourist attractions, including the old Viking graves and museums. 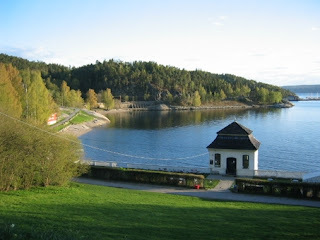 In summer, Tonsberg also a popular retreat for the people of Oslo, in Norwegian and elsewhere. The fortress has over 300 years old was founded in the 13th century by King Haakon Haakonson in Tonsberg modern city locations. Previously fort that stood on the hill Castle Rock is the only remaining ruins. Only in 1888 was developed as a historic monument of the fort. 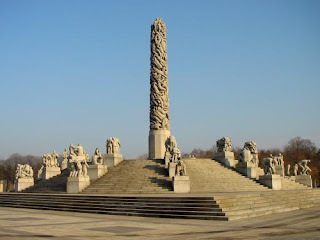 Archaeological excavations in 1904 at the Royal mound find crafts of the era's biggest and richest such as the Viking ship Oseberg 21.5 meters long, the train Oseberg, five carved bed shaped like animal heads, four sledges, beds, cabinets, appliances and much more. For a long time Royal mound is also a tomb said to be the resting place of Queen Asa, grandmother of King Harald Hairfair. However, scientific investigation in 1992 showed that it is the tomb of Queen Alvhild, first wife of King Gudrod. Tonsberg cathedral consecrated in 1858 was built of red brick in Gothic style by Christian Grosch design complete with 500 seats in it. The most impressive part that can be found in the cathedral which is located at 52 Storgaten this is the altar from the 18th century and the pulpit that was even older, from the 17th century. There are also two of the Bible from the 16th century. 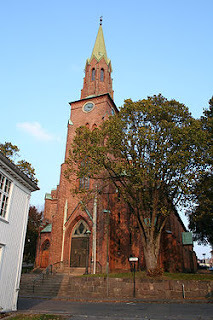 Another thing that makes the Cathedral Tonsberg visited because it is a very important church center in Tonsberg. Vestfold Vestfold County Museum contains the history of which is a region in Tonsberg. 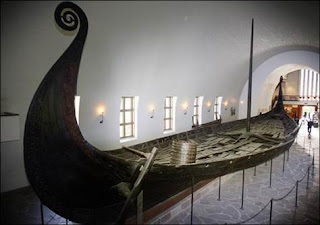 In this museum you can see the Viking ship, a whale exhibits, agricultural areas, warehouses and storage houses of medieval origin. 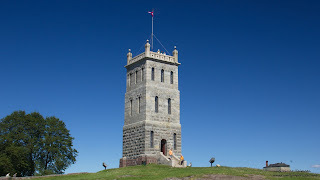 Vestfold County Museum is open from mid May to mid-September every Monday-Saturday starting at 10:00 to 17:00 local time, while on Sunday starting at 12:00 to 17:00 local time. Located 10 kilometers from Tonsberg which can be reached by bus or car, you can swim in the Oslo Fjord. Territorial waters of the fjord is flanked by steep cliffs, created in a valley carved by glacial activity. Temperatures in the Oslo Fjord typically range between 18-22 degrees Celsius. Oslo Fjord also be an area where you can find a variety of private yachts. If you are lucky perhaps one of the owners will take you to sail. Only if it dared ask. 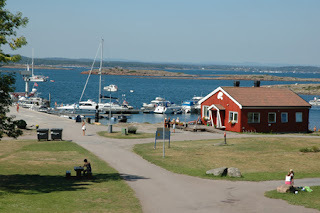 During the summer, you can climb aboard a small ferry to the island in the Oslofjord Ostre Bolarne. The cost of round trip for adults is about 140 krona. After a journey of about 50 minutes, you will arrive on the island which is a coast artillery fort and opened to the public in 2005. Activities you can do on this island is a walk, dive or just sit in a small harbor.